Devangshu Dutta has had wide-ranging international experience, and has worked at and with ahead-of-the-curve businesses through his career since 1990. After three stints as an entrepreneurial senior employee, he co-founded a web-based supply chain solutions company in 2000, founded Third Eyesight in 2003, and co-founded PVC Partners in 2007. Devangshu has led initiatives related to strategy, operations and organizational change for businesses from Asia, Europe, and the USA. He is regularly invited to speak at premier industry events internationally, quoted frequently in media, and he also writes regularly for print and electronic media. Devangshu is a post-graduate in Marketing & Merchandising, holds a B. Sc. (Hons) degree from the University of Delhi, a certification in Venture Capital Development from Indian School of Business, Hyderabad, and a certification from the European Venture Capital Association. Rohit Luthra has worked across technology, investments and consumer products domains since 1990. He formally became an entrepreneur in 1996 when he co-founded a technology infrastructure and cloud computing company, Progression Infonet. 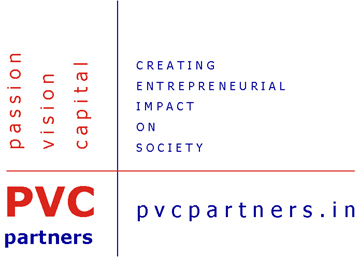 He co-founded PVC Partners in 2007, being passionate about turning entrepreneurs into winners. Rohit feels that India’s economic growth story is still being addressed incompletely, and that creating entrepreneurial opportunities is the quickest, most productive and self-sustaining way of harnessing this potentially explosive energy. Rohit’s strengths are in identifying new areas of business and technologies early, and designing flexible and robust business models. Rohit holds a specialization in Venture Capital Development from Indian School of Business, Hyderabad and Bachelors in Economics from Delhi University, and is a post-graduate in Marketing. Rohit and Devangshu have known each other since 1988, from having studied together and then having worked closely together. In addition, we are blessed with several well wishers and advisors.